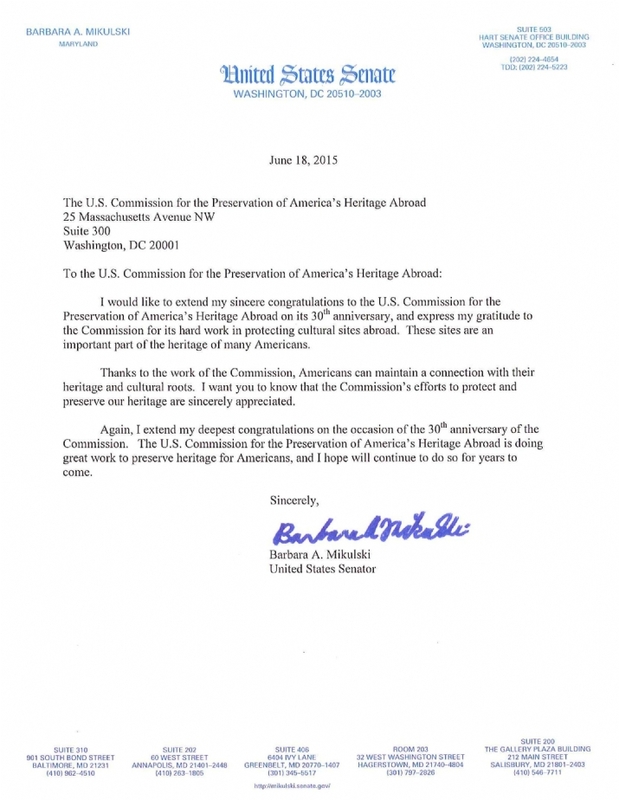 A strong sense of community permeated the Kennedy Caucus Room of the US Senate, as an array of prominent officials representing a cross section of House and Senate leadership joined with civic, religious, communal leaders as they commemorated the 30th anniversary of the U.S. Commission for the Preservation of America's Heritage Abroad. 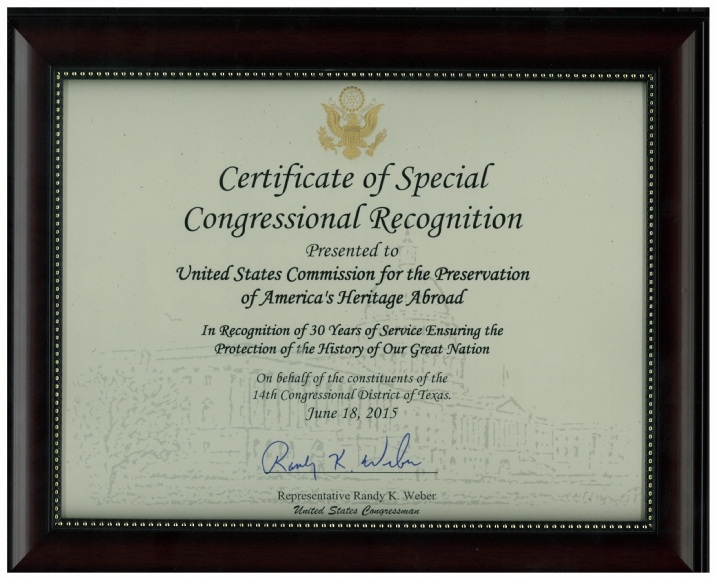 In 1985, Congressman Steve Solarz along with Sen. Ted Kennedy were instrumental in passing legislation that established the Commission when it was included in the International Security and Development Act of 1985. 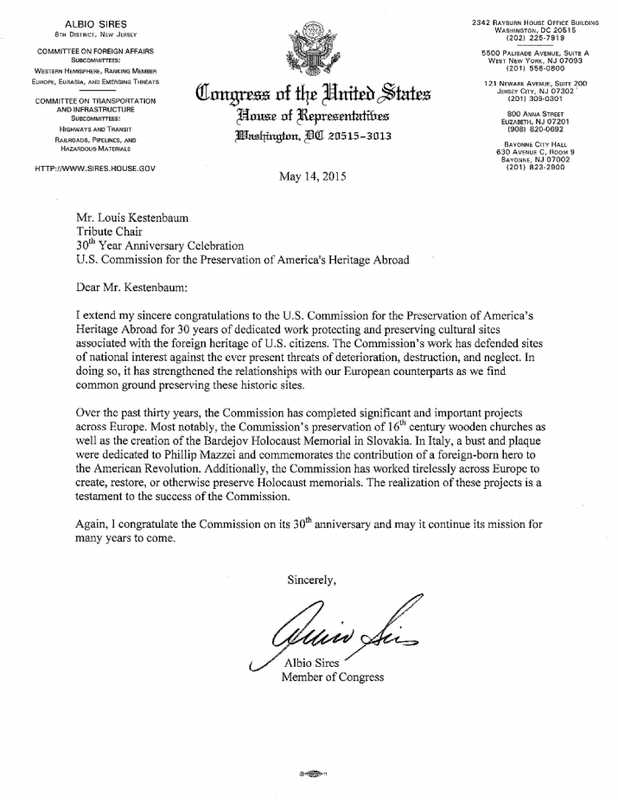 The mandate of the U.S. Commission for the Preservation of America's Heritage Abroad is to preserve and protect the monuments, cemeteries, synagogues, and churches in the countries that make up Central and Eastern Europe. Its current chair is Lesley Weiss. 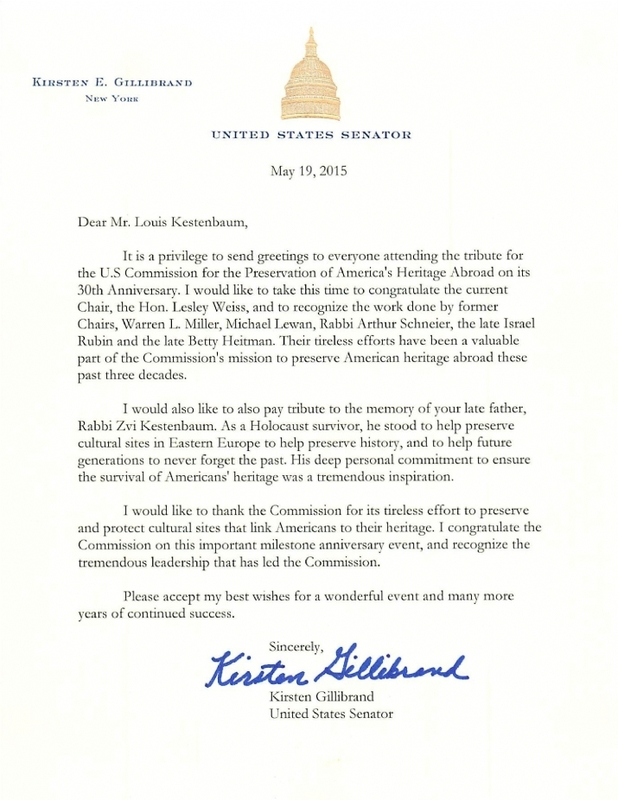 Although the Commission is well known and its members are appointed by the President of the United States, what is not well known, is that a Chasidic leader by the name of Rabbi Zvi Kestenbaum was the "man behind the Commission" and indeed the catalyst whose efforts ultimately led to its establishment. Ambassador Stuart Eizenstat, MC, commenced with a clear message: Identity is something that we must hold on to and value. Otherwise, it will simply and tragically be left behind. 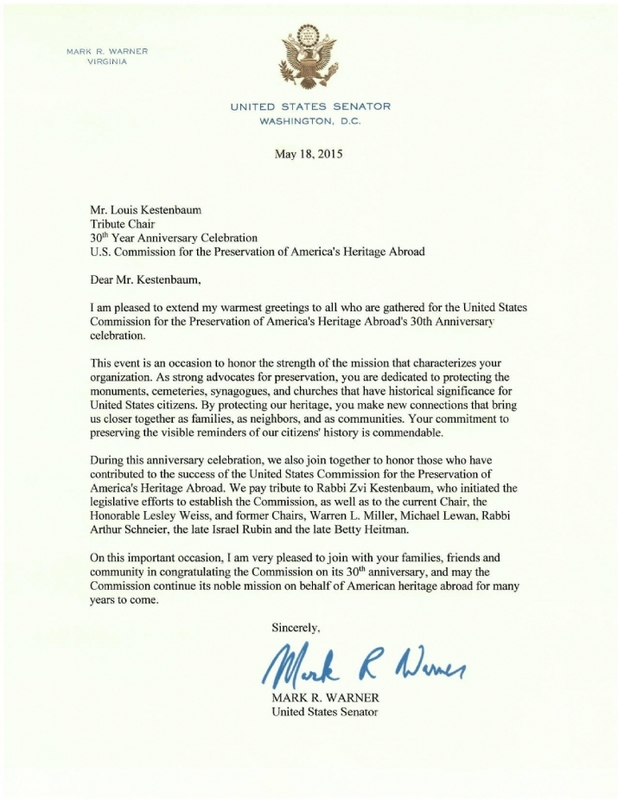 A theme echoed throughout the program was the tenacity of Rabbi Zvi Kestenbaum and his accomplishments which is remarkable in light of the fact that a man who spoke limited English was able to communicate so effectively with powerful officials to the point of convincing them to create an official US agency with a mandate solely to protect cemeteries in Eastern and Central Europe. 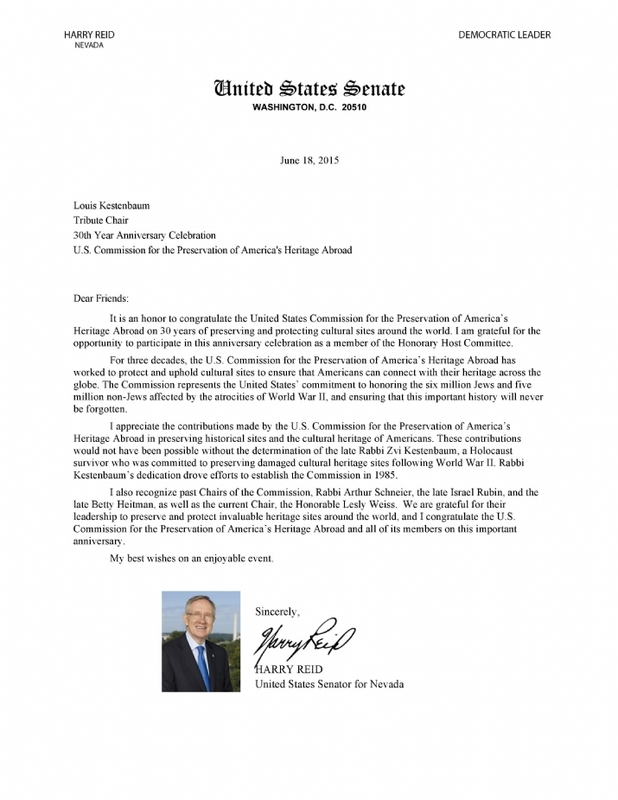 Members of Congress that participated included: Senate Foreign Relations Committee Ranking Member Ben Cardin; Senator Kirsten Gillibrand; House Foreign Affairs Chairman & Ranking Member Rep. Ed Royce and Eliot Engel respectively, House Democratic Whip Steny Hoyer; Democratic National Committee Chair Rep. Debbie Wasserman Schultz, Rep. Grace Meng and Rep. Kay Granger, who chairs the powerful Foreign Operations Appropriations sub-committee among others. 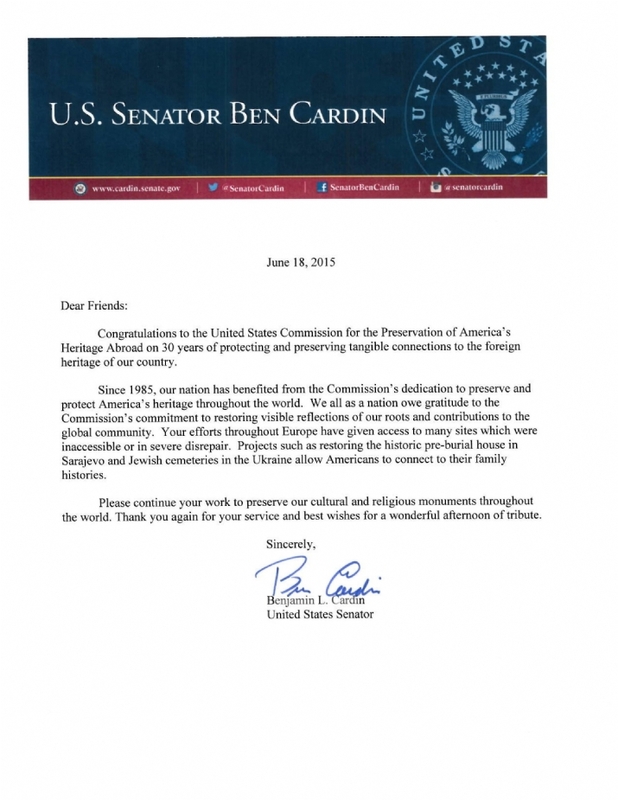 Senator Cardin, who mentioned his family's own Eastern European roots, said, "Our past gives us strength and instructions" that we carry into the future. 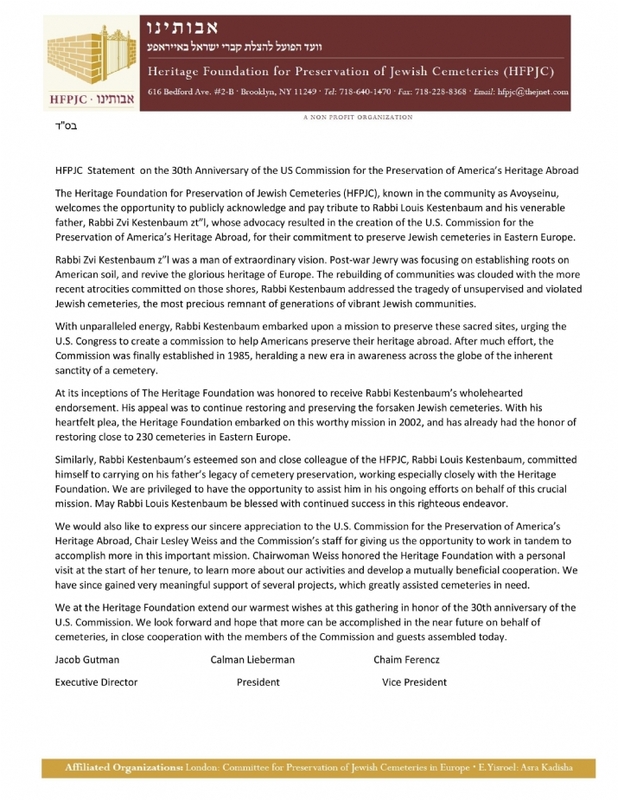 Whip Hoyer discussed how efforts to destroy cultural sites are not only attempts to destroy objects; they are attempts to destroy the faiths the sites symbolize, and that is why it is so important to preserve cultural sites abroad referring to the era when Communism raged throughout Eastern Europe and how "Rabbi Zvi Kestenbaum, a Holocaust survivor, was greatly pained by the destruction of cemeteries throughout the post Holocaust era, and how as an individual, he singlehandedly was responsible for the reconstruction of cemeteries, yet felt there should be an official US entity to preserve the heritage sites of millions of Americans in Eastern Europe, as this heritage was in danger of being further neglected and ultimately destroyed". 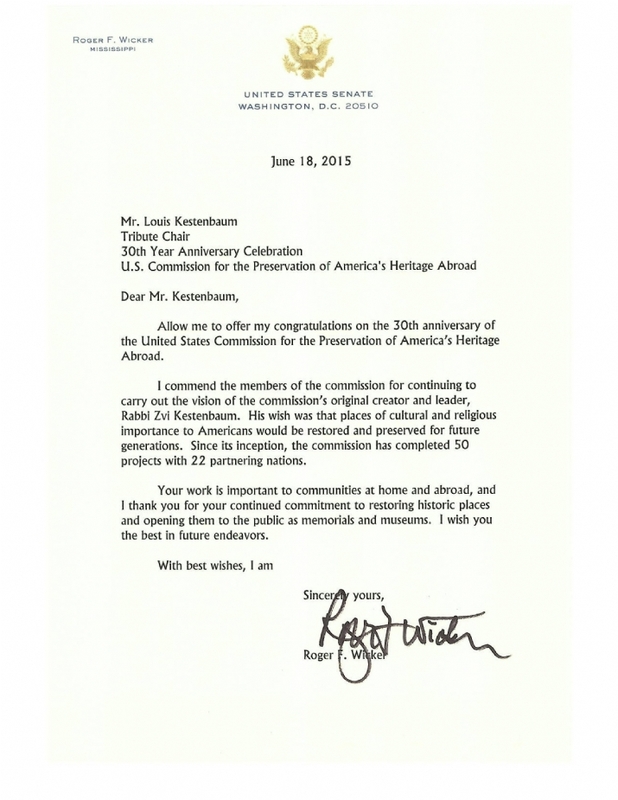 "Rabbi Zvi Kestenbaum was not only a visionary leader but an intelligent and wise person. He knew he had to actually do something not just speak about it, he knew how to organize the commission and most importantly he knew how to be a voice for the people" said Rep. Ed Royce. Former chairs of the Commission, Warren Miller and Michael Lewan who as chief of staff to the late Congressman Steve Solarz were honored alongside its current chair Lesley Weiss. 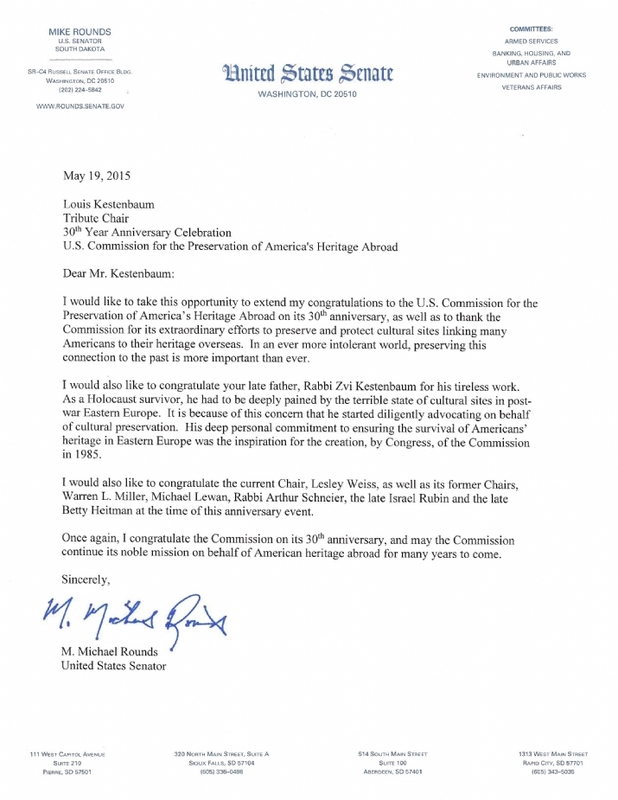 Mr. Lewan shared for the first time, interesting anecdotal details of how Rabbi Kestenbaum convinced the late Senator Ted Kennedy to support the creation of the Commission. 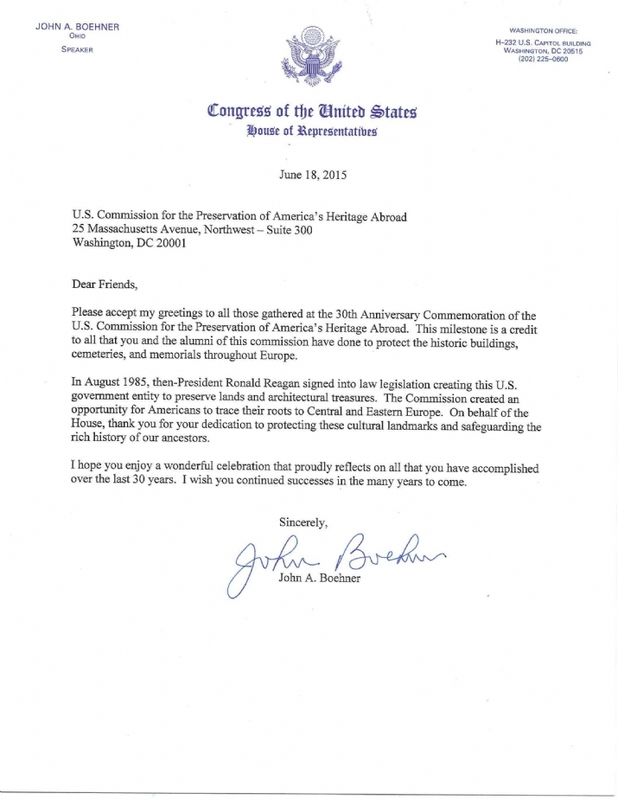 "I remember as if it were this morning, Solarz and Rabbi Kestenbaum and I walking over from the House side to this very building to meet with Senator Kennedy to convince him." 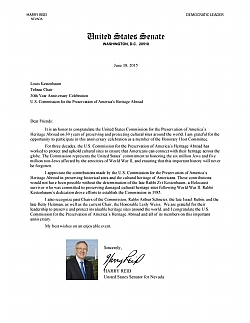 Lewan related that Solarz instructed Rabbi Kestenbaum, whose English was less than perfect, to remain silent while he spoke to Senator Kennedy, but his impassioned pleas failed to elicit the desired response from Kennedy. "I guess I could say that Kennedy was interested but not convinced," said Lewan. 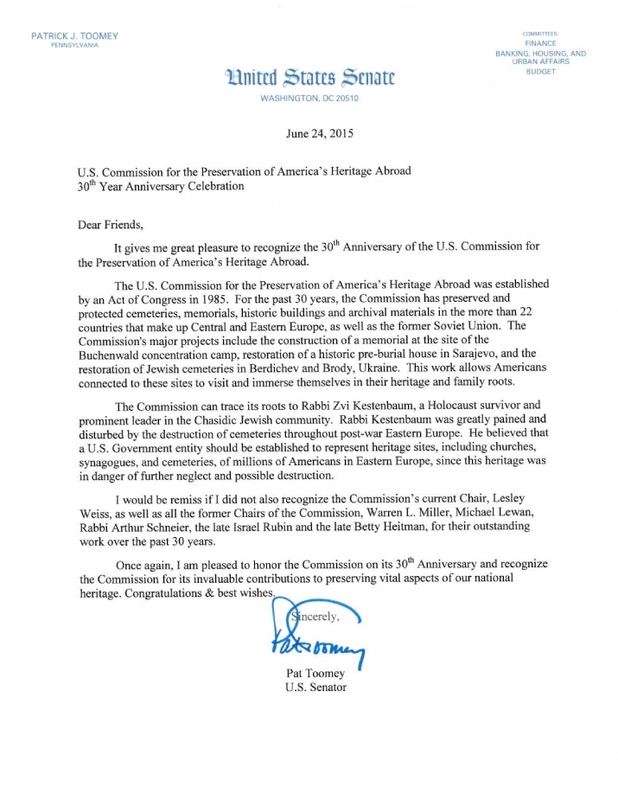 As the trio rose, Rabbi Kestenbaum took note of the many pictures of the Kennedy family that adorned the Senator's walls and despite Solarz's admonitions, addressed Kennedy himself. 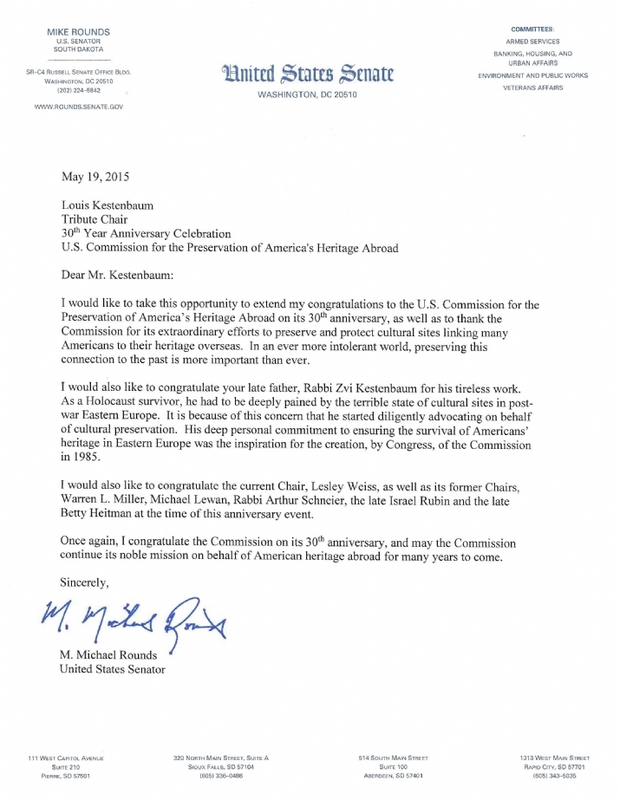 "Just yesterday I visited Arlington cemetery and saw the magnificent graves to your brothers who are great American heroes and deserve the honor," said Rabbi Kestenbaum. "Don't all G-d's children deserve the same honor?" 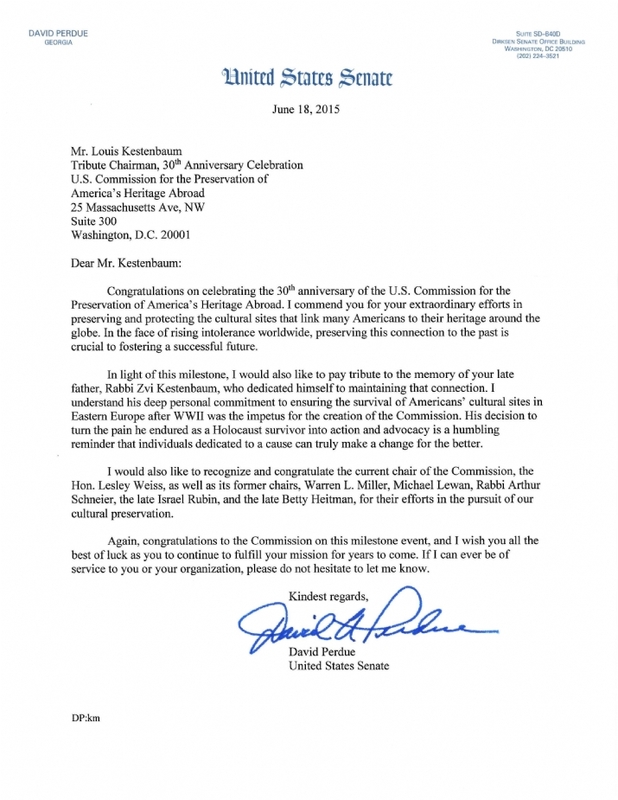 Those words moved Kennedy ultimately agreeing to sponsor the bill which President Reagan signed into law, later appointing Rabbi Kestenbaum as deputy chairman of the committee. 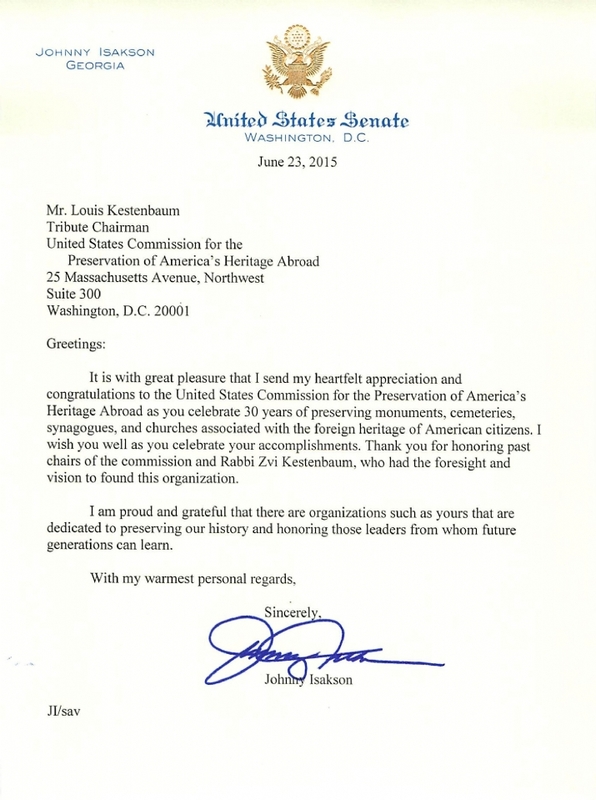 Rabbi Kestebaum's son Louis Kestenbaum was the 30th Anniversary Tribute Chairman. 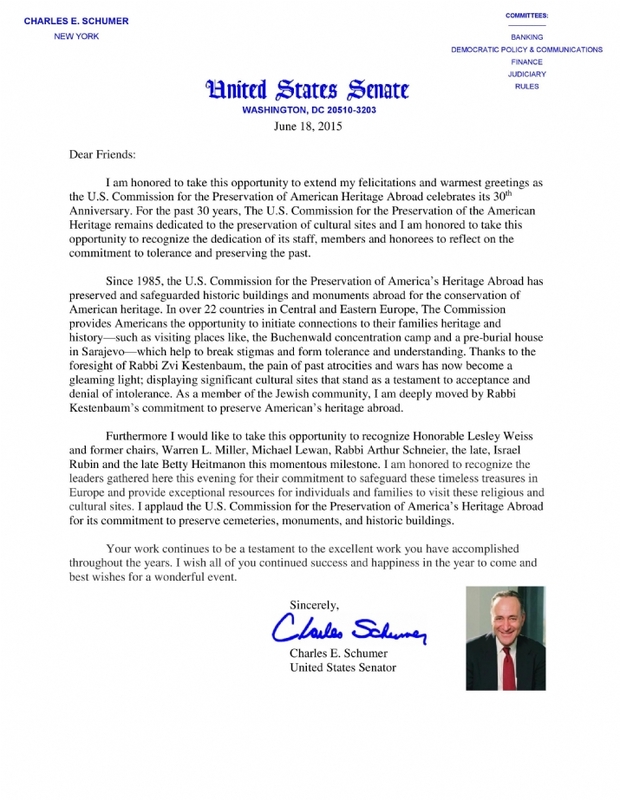 He is Chairman of Fortis Property Group, that controls a portfolio of assets valued at approximately $3 billion announced the restoration and preservation of the Jewish cemetery in Slubice, an initiative warmly praised by Ambassador Gandalovic of the Czech Republic "as a wonderful way to continue to honor Rabbi Kestenbaum and his work", as well as the restoration of over 200 graves in Ostroh, Ukraine, shared his father's determination with the audience declaring "My father did not understand the meaning of the word 'no'. "He convinced local officials to cooperate. He built relationships with police to make sure that the graves would be watched." He also remembered his father's time in the holocaust, recalling how his father knew that "G-d kept him alive" to fulfill a purpose and that has become very apparent to all of us. 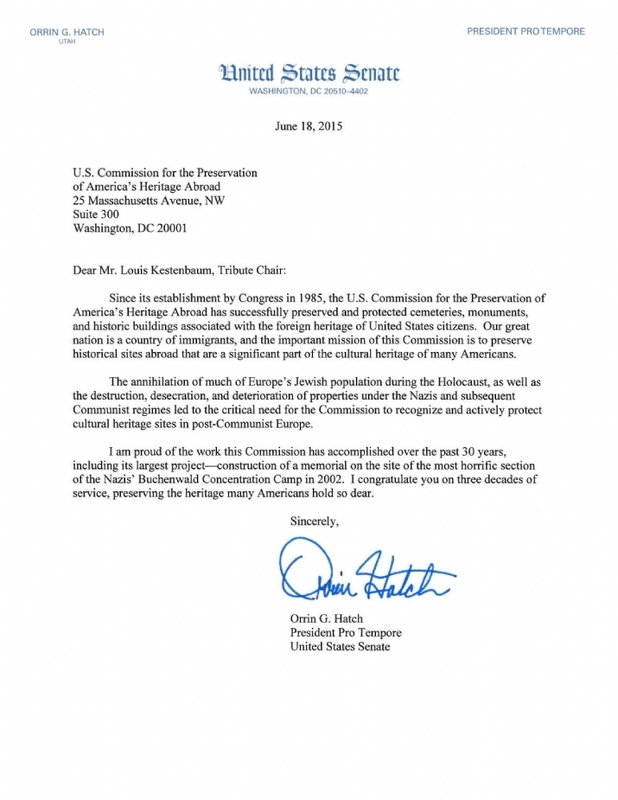 "There was nothing he could do to bring back the millions of lives that had been lost during the war, but their legacy, the cemeteries and holy places that had been destroyed this could be recovered, restored and preserved," said Louis Kestenbaum. "He felt that it was his moral duty as a Jew to see that this was done. 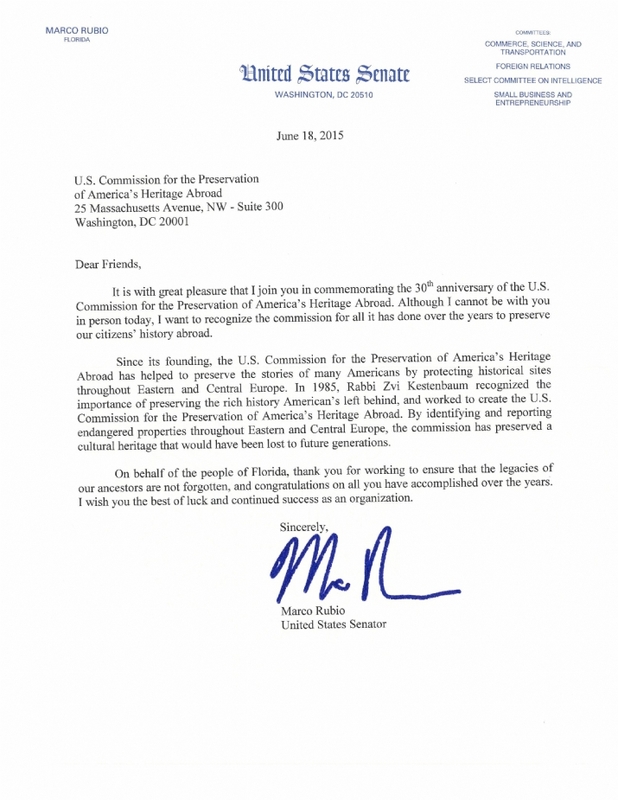 I thank Chair Weiss and the U.S. Commission for the Preservation of America's Heritage Abroad for its efforts to continue my father's legacy."